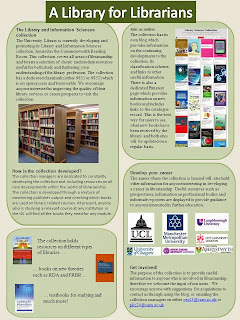 Today, my colleague and I will be presenting a poster at the Libraries@Cambridge conference highlighting the Library Science Collection at Cambridge University Library. 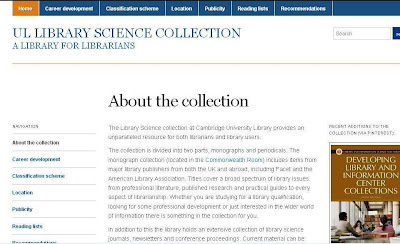 The collection covers all areas of library science and archives including theoretical works, practical how-to guides, conference proceedings and major library science periodicals. We have titles from publishers such as Facet, the American Library Association, IFLA and Libraries Unlimited and we are constantly working on updating the collection so that it reflects current trends in the profession. Another of our key aims is to provide advice on career development for those interested in librarianship. We have gathered together prospectuses from UK universities that offer LIS courses as well as information on various professional associations. The collection is stored in a quiet annex off the Commenwealth Reading Room which is perfect for browsing and finding some inspiration. Reading library science literature is a great (free!) method of CPD and can spark some great ideas. Please check it out and let us know if you have any suggestions for the future of the collection. As the title of this post says, it's a library for librarians and we really value your input. 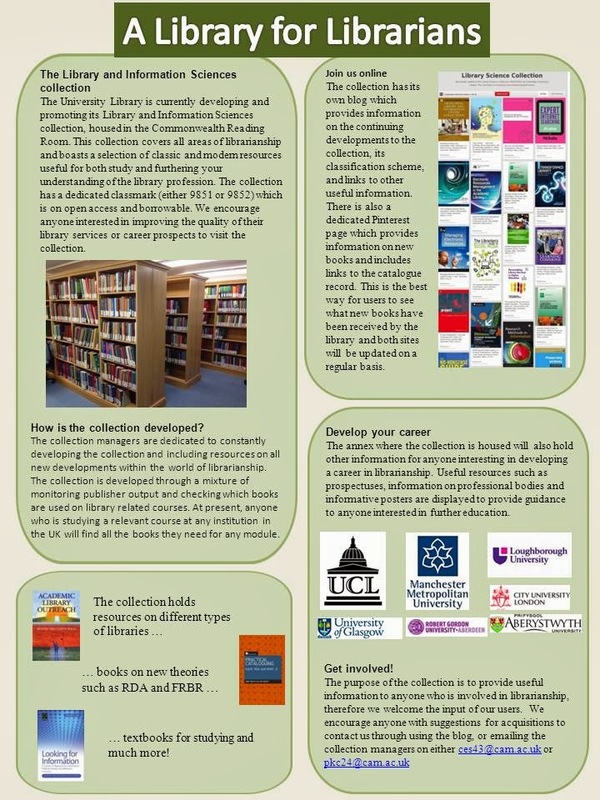 We very much hope that the collection is useful to librarians from both Cambridge and the wider library world so let us know what you do with it!